Meeting with Dr. Wierman for the first time? Your First Consultation with an Oncologist Hematologist? - If you’ve been diagnosed with cancer, with anemia or another blood problem you probably have a lot of questions about your particular disease and what lies ahead. The first step is making an appointment with an oncologist hematologist — a doctor who specializes in treating cancer and blood disorders. - The first thing the physician will ask about is your medical history. When you get into the doctor’s office, it’s very easy to forget when things happened, so it’s helpful to write down your history to remember the timeline of events. Keep notes about your symptoms and what made you go to your doctor in the first place. What tests did your doctor order? Were you referred to additional specialists? 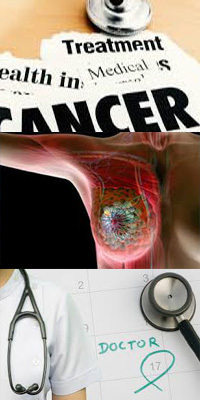 Have you previously been treated for cancer or any other blood problems? - In order to make it a thorough consultation, the physician should have all your reports and other requested materials. This includes copies of previous labwork, scans, x-rays, MRIs, CTs, or other imaging tests that were done, and pathology reports if a biopsy was performed. - In addition, you should bring in any medications you take, including over-the-counter pain relievers, vitamins, herbs, and supplements. Rather than just making a list, you may want to bring in the actual medicines so the physician notes the dosages. Before recommending a treatment, doctors have to know what you’re taking in order to make sure there are no potential interactions. People may forget things like calcium and vitamin D, but those can interfere with some treatments. - You are encouraged to take notes during your appointment. If you can, bring someone with you — a family member or a friend — to be another set of ears in the room. In addition to providing emotional support, they can help you remember what the doctor says, take notes for you, and remind you of key questions that you don’t want to forget to ask. - Listen to what your physician has to say, because a lot of your questions may get answered, and listening closely may make you think of additional questions. - As part of your consultation, your physician will discuss your disease, treatment options, and prognosis. Your prognosis [the doctor’s prediction of how you’ll recover from your illness] depends on the type of cancer, the stage of your disease when first diagnosed, and your response to treatment. - Some cancers are not curable but may be treatable with therapies that provide you with as much quality of life as possible. - Physicians are honest and hopeful, so even if the general statistics look discouraging, each individual is unique and may respond differently to therapy. Depending on your response, your oncologist may recommend a newly approved treatment or a novel drug being evaluated in clinical trials. We see people do better than expected every day. What is my diagnosis and how soon do I need to start therapy? What are my treatment options, what’s involved, and how long will each treatment take? What are the benefits of the recommended treatment? What are its potential risks and side effects? How will treatment affect my daily routine? Can I continue to work through treatment? Will treatment impact my fertility? If so, is there anything I can do to protect my ability to have children in the future? What support resources are available to help me cope with my diagnosis? Whom should I call if I have additional questions after I leave the office? Can I expect my oncologist to give me a sense of my prognosis during my first appointment?